Another Launch Disaster Strikes Russia! Eight minutes after launching from the Baikonur Cosmodrome, a Russian Proton-M rocket experienced a catastrophic failure in its third stage rocket, resulting in the complete atmospheric burn-up of the rocket and its payload, a Mexican Communications Satellite. After launching at 11:47am local time in Kazakhstan, the rocket experienced an emergency situation 497 seconds into the flight, reported as a failure in the rocket’s Breeze-M third stage. The carrier rocket was launching the Mexsat 1 communications satellite, known as Centenario, into orbit, in a contract with the Mexican government. After reaching a 161 Km altitude, the rocket failed and fell back to Earth, where it rapidly burned up in the atmosphere due to high speeds and friction with the thick air that sustains life on Earth. Currently there are no notes of debris falls or any injuries, which is a positive note. The Russian Space Agency, known as Roscosmos, takes this as their second serious rocket failure in only three weeks, following the uncontrolled spin and eventual burn-up of the Progress craft that was on a supply run bound for the International Space Station. Its important to note that although rare, rocket failures happen. 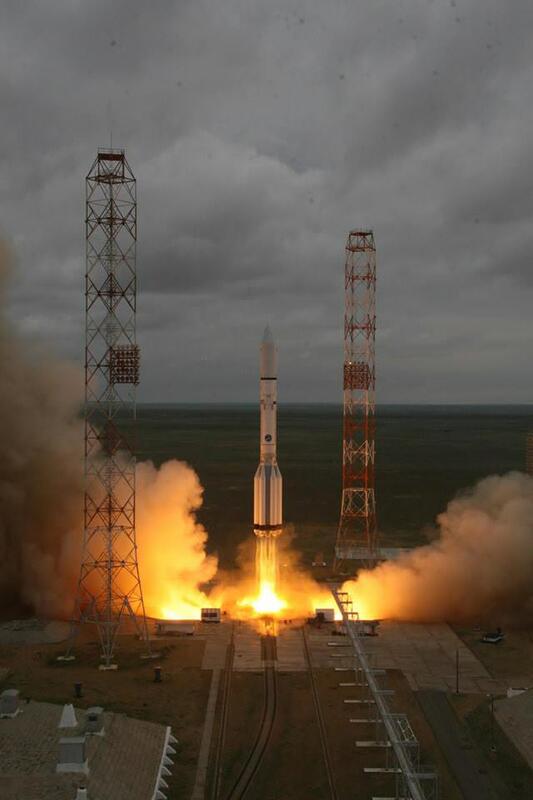 In fact, this is the eleventh failure of the Proton rocket in 116 launches beginning in 2001, a rate just under 10%. However, any rocket failure, especially publicised, can hurt a space agency, especially one that currently holds the only key to sending humans to space. When lives are involved, we have to be much more precise, much more careful. This is the first I had ever heard of a Mexican presence in Space, and sadly they lost their entire payload. It was insured for 390 Million dollars, so they get the cost back, but postpone a sense of national pride as they have to wait to rebuild and relaunch the satellite.